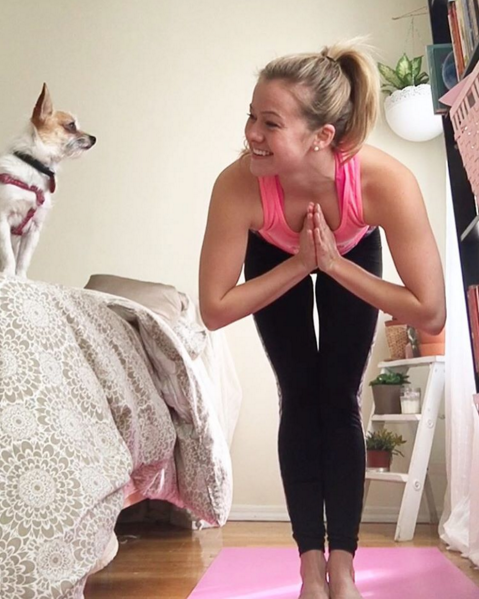 Hallie is a writer and blogger who loves food, fitness, and living a holistic lifestyle. She appreciates a good cup of coffee, soft slippers, and beds with too many pillows. Hallie lives in Brooklyn with her two-year-old chihuahua mix, Havarti, whose favorite foods include ice cubes, blueberries, and dust bunnies. Hallie’s literary accomplishments include authoring the children’s book STARFISH for the S.C.O.P.E foundation which helps send underprivileged children to summer camp, and acting as an occasional contributor to the Old Strathcona blog and the satirical news site The Manatee. Before moving to New York City, Hallie spent two years as a class teacher at the Waldorf Independent School of Edmonton in Alberta, Canada. During this time Hallie discovered her passion for behavioral sculpting and public speaking, holding developmental book studies and speaking at conferences about parenting through middle childhood. With her background in developmental psychology and education, Hallie has taken a recent interest in writing therapeutic stories for children. You can check out her recent story “Chameleon” in Woosh magazine. Hi Hallie. Truly appreciate that you liked my poem The Community! So nice of you to call by Great to meet you. I have written children’s stories for fun The Adventurous Youngsters! They are on my blog. Be Safe and well. The Foureyed Poet.